В статье говорится об истории формирования основ методики преподавания русского языка делового общения (РЯДО) начиная с XIII в. до настоящего времени. Рассматриваются статус методики преподавания РЯДО в настоящее время, особенности, содержание, цели и задачи его преподавания. Formation of teaching Russian language of business communication methodology bases, teaching Russian language for special purposes, content, purpose and tasks of teaching Russian language of business contact. 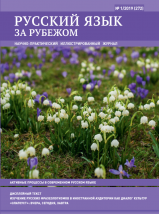 In the article it is spoken about the history of the formation of Russian language of business communication methodology bases, from 13th century up to now. 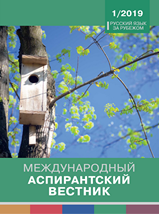 Status of Russian language of business communication teaching at present, its special features, content, purposes and tasks are examined.